It’s a new year, and maybe this will be the year that the entryway stays tidy, the toys don’t devolve into chaos, and your clothes are always neatly folded. Even if you’re starting the year with a big organizing goal, it helps to break it down into smaller steps. Here are 5 little (read: easy to maintain) resolutions for an organized home in 2018. An object can’t be organized if it’s doesn’t have a home! Designate a spot for everything, commit to keeping it there, and get your roommates, partner, or kids on board, too. As you’re choosing where to store things, pay attention to where they tend to land: If shoes and coats are always piled by the front door, accept it and get a good storage bench to corral the clutter. If papers end up on the kitchen counter, add a little basket so they stay in one place. It may not be your first-choice spot, but in this case, the path of least resistance will most likely lead to success. This goes for clothes, toys, kitchen gadgets, magazines—everything! If something new comes into your home, it should be replacing something else, not adding to the clutter. Resist the urge to hold onto your old jeans “just in case” there’s one day when you need to wear a pair of beat-up, out-of-style jeans…it’s just not going to happen. Encourage your kids to donate toys they’ve outgrown when an influx of new stuff comes in on their birthdays. You can only use so much stuff. Popularized by decluttering pros The Minimalists, here’s the premise: If you haven’t used something in 90 days, and don’t see yourself using it in the next 90 days, get rid of it. You can adjust your time limit—maybe three months is too short, so it needs to be six, or a full year, but creating a rule for yourself and sticking to it can take the guesswork out of deciding what to keep. Anytime you can make a decision easier, your life gets easier, too. Even if it means going to bed 10 minutes later, make a point to tidy every night before you go to bed, so you can wake up to an uncluttered house. For me, that means finishing up the dishes and lining up shoes in the entryway every stinking night. It’s a slog, for sure. But usually it doesn’t take that long (time yourself one night—you’ll be shocked) and it gives you the chance to start fresh in the morning instead of at a clutter deficit. 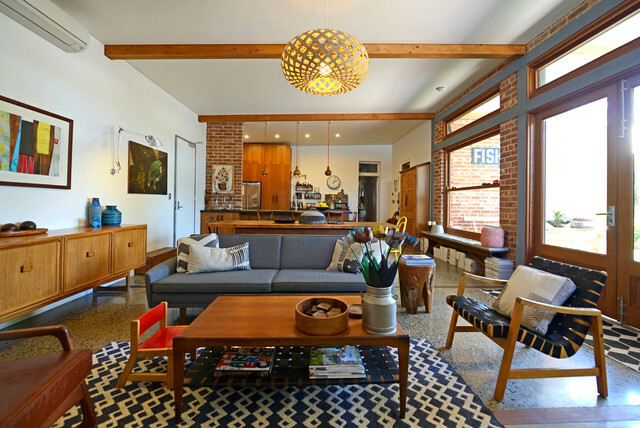 There’s a classic William Morris quote, “Have nothing in your house that you do not know to be useful, or believe to be beautiful.” It’s the same concept Marie Kondo espouses about objects in your home sparking joy. Be intentional about what you keep, and pass it on if you truly don’t use it or just don’t like it. So next time you see a book on a shelf or something in your closet that makes you feel “eh,” just put it in the donate box. All rights reserved to the initial publisher for Realsimple.